One important thing you have to bear in mind is that, in Czech, almost all the permutations of the words in a clause are possible, as opposed to English where the sequence subject-verb-object is often the rule. That said, the word order in Czech will place emphasis on one or other aspect of the message, completely affecting the words needed in the English translation while using exactly the same words in the original: Češi udělali revoluci (The Czechs made a revolution), Revoluci udělali Češi (It was the Czechs who made the revolution), and Češi revoluci udělali (The Czechs did make a revolution). This by itself could pose a major problem to students, who don’t seem to get the hang of the standard word order in English. There is a very important rule of the Czech language that creates serious problems. 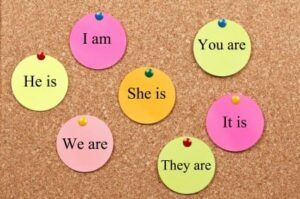 The verb ‘to be’ should always come in the second position, followed by the reflexive particle “se” and the object pronoun, when they exist. This can be very complicated for Czech students trying to learn English chiefly because they tend to follow this rule and often put the verb “to be” in the second position. Consider typical sentences from some of my students: “When is somebody homeless, I understand”, verb “to be” as the second element of the sentence; or “She was tired?” typical mistake (when practicing grammar, at least) caused by lack of inversion, even worse for the Czechs because of the second-position rule. Another characteristic of the Czech language is the existence of only 3 verb tenses – present, past and future. In addition to this, virtually every verb in Czech comes in pairs, one being the perfectivum, which can only be used for the past and the future and represent an action done only once; and the imperfectivum, used for the three core tenses for things that are, were, or will be done over a period of time; or as a routine. The verb “start,” for example, brings the two forms respectively: začít and začínat. The most obvious consequence of this rule is the major problem Czech students are certain to have with almost all verb tenses in English; for instance, it is difficult for them to understand the present or past perfect, the different ways to express the future and, still more confusing, the past and present continuous. As mentioned above, the imperfectivum verbs are also used to express routines; logical, for them, because a routine is something happening over a period of time. As a result, they believe that present and past continuous can also be used to express routines in the present, instead of the simple form; or in the past, as opposed to the simple form, would, or (be) used to. Typical examples follow: “When I was young, I was playing hockey every day with my friends;” or “I’m usually having dinner at 7 pm.” It may appear as though it’s a simple task to teach them the correct form, but this mistake persists even among the most advanced students. Just try to learn Czech and be in their shoes, and you will understand. 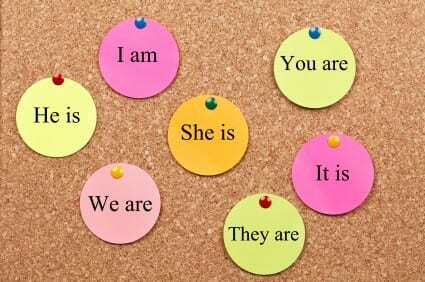 This article does not aim to delineate all the problems with grammar Czech students often come across when learning English. Nor does it intend to provide an in-depth description of the Czech language and other aspects thereof, such as phonology. The goal of this article is to outline the most common problems that new teachers will face in Prague so they are better prepared. There’s just one thing that’s wise to take into consideration before drawing any conclusions: Every language has its own idiosyncrasies, which present different problems to English learners. Non-native speakers from different countries are not easier or more difficult to teach, nor are they better or worse. They are simply different.